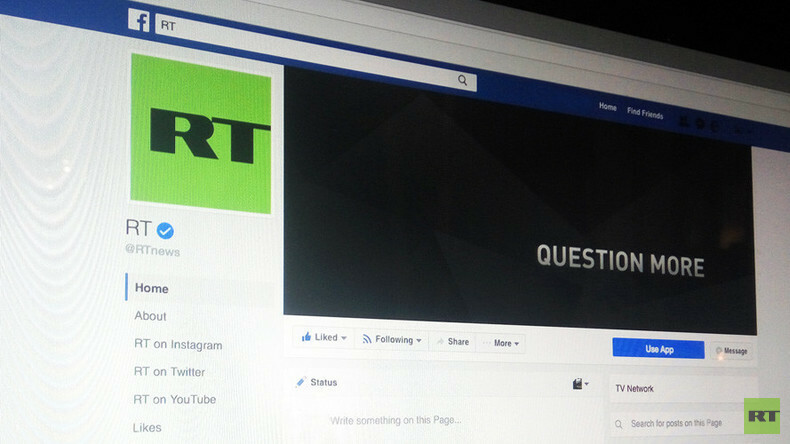 RT's rights to share such content as live streams, images and videos with its over 4 million followers on its Facebook page were restored on Thursday. The ban was put in place on Wednesday evening Moscow time, shortly after RT's broadcast of Barack Obama's final press conference as president. Facebook's restriction to allow RT to post text content only was apparently linked to live-streaming rights. RT was streaming the Obama press conference broadcast from an AP direct feed, to which it is officially subscribed. The agency has confirmed to RT the issue "must have been... on [Facebook’s] end." According to the Facebook bot, the restrictions were originally set to last until Saturday 10:55pm Moscow time (2:55pm EST). The Facebook bot notification that interrupted RT's live stream stated that rights to the content had been claimed by Current Time TV, a project of Radio Liberty in collaboration with the Voice of America. Radio Liberty is an independent corporation, financed by the US Congress. Current Time TV claimed it had "not sent any complaints regarding RT or any other organizations in connection with the live feed." 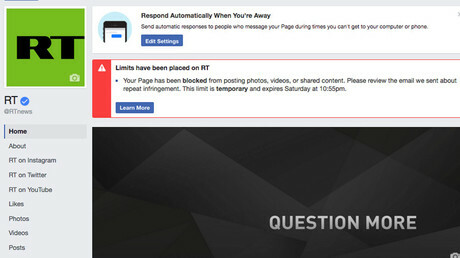 During the time RT’s rights were blocked, it did not receive any emails from Facebook to its page administrators. Once the restrictions had been lifted, Facebook told RT in an email that "the reasons behind the temporary block of certain functions are being determined." Another US digital platform, Twitter-based news-breaking service Dataminr, has moved to deny service to RT with immediate effect. No official explanation behind the decision has been given by Dataminr, a company which cooperates with news agencies around the world. Earlier on Thursday, the Russian Foreign Ministry spokeswoman dubbed Facebook's actions "unacceptable." It might have been either a form of censorship or an "instrument of competitive struggle," Maria Zakharova said. "If it's actually perceived as censorship under a technical pretext, then it's unacceptable. It's also unacceptable because blocking of the competitive position that Russia Today (RT) TV channel has is obvious," Zakharova told a briefing in Moscow. Meanwhile, Russia’s telecom regulator, Roskomnadzor, has announced it will find ways to affect the work of American media and social networks in Russia should pressure on RT continue. "It is obvious to us that at this stage there is an unprecedented pressure on RT. And the most important thing is that it's groundless," the watchdog’s head, Aleksandr Zharov, told TASS.